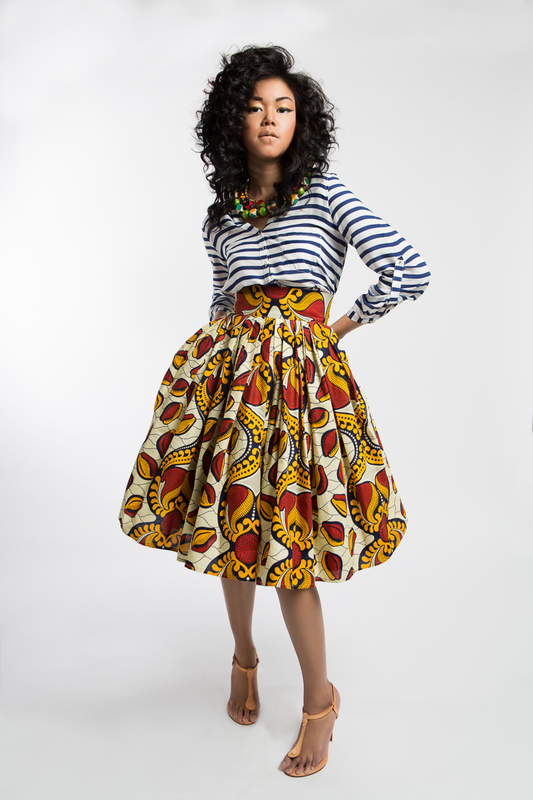 Crafted in vibrant Ankara wax prints, the Lily Skirt is Jinaki’s first staple piece. The full skirt debuts in 4 choice colours; Lavish Lavender, Flaming Medallion, Mediterranean Blue and Moroccan Raspberry. Hidden side pockets for versatility and a flare skirt accentuates the waist to create Jinaki’s signature feminine silhouette. Lively organic prints rich in chromatic hues of corals and citrus pulsate as you glide across a room or enjoy a casual stroll. Blossoming like graceful petals of the lily flower in spring, this skirt brings beauty and delight to any wardrobe.